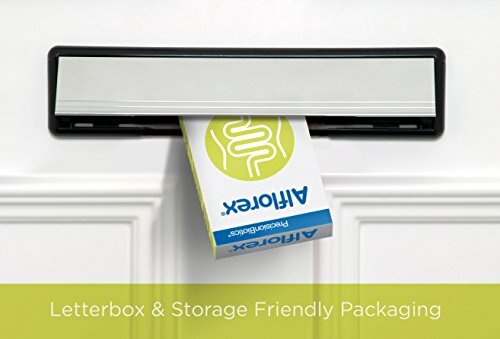 Alflorex® by PrecisionBiotics | 60 Capsules In NEW DUO Blister Pack | (8 weeks supply) | Shown to reduce bloating, abdominal pain and unpredictable bowel movements. Alflorex®, with the natural 35624® strain, has been clinically studied and shown to remain active through the entire digestive system and then work in harmony with your gut. Alflorex® is gluten free, lactose free, dairy free and suitable for those on a low FODMAP diet. Alflorex® is free from all allergens as listed in Annex II of EU regulations No. 1169/2011. Alflorex® can be taken when pregnant or breastfeeding and by children aged 3 years and over. It has no known interactions with other medications and can be taken with antibiotics. Alflorex® does not need to be refrigerated. ✔ NO.1 RECOMMENDED live culture by US gastroenterologists and trusted by millions of consumers around the world. ✔ UNIQUE & NATURALLY occurring 35624® culture, backed by over 17 years of research. ✔ CLINICALLY SHOWN to reduce bloating & gas, abdominal pain and unpredictable bowel movements in clinical trials with IBS sufferers. ✔ PRECISIONBIOTICS pro-level biotics – Developed by LEADING SCIENTISTS and GASTROENTEROLOGISTS to aid gut health and relieve digestive issues. ✔ GLUTEN FREE * DAIRY FREE * LACTOSE FREE * Suitable for those on a low FODMAP diet and as part of a healthy lifestyle. No refrigeration required.